Richard William Mangus, 77, a lifelong resident of Lakeville, passed away at 3:39 p.m. on Monday, February 4, 2008 at Memorial Hospital, South Bend. Mr. Mangus was born on July 23, 1930 in Lakeville to the late Walter F. and Elizabeth "Betty" (Deck) Mangus. On June 24, 1951 in Lakeville, he married the former Mary E. Annis who survives. Along with his wife, Mary, of 56 years, survivors include; one daughter, Marcia S. (Rick) Forrester of LaFontaine, IN; four sons, Russell G. (the late Catherine) Mangus of Valparaiso, Richard D. (fiance, Clarice Holloway) Mangus of Walkerton, Ronald L. (Heidi) Mangus of Noblesville, and Ryan D. Mangus of Indianapolis; seven grandchildren; ten great grandchildren; three sisters, Eileen (Kenneth) Isenberg of Lakeville, Mary Ann (Rich) BonDurant of Bremen, and Barbara Sauers of Langhorne, PA; and one brother, Walter L. (Sue) Mangus of Pecatonica, IL. Mr. Mangus was a dairy farmer for 60 years working with the family business, Mangus Dairy Farms. This consisted of milking the cows, bottling the milk, and delivering the product to the customer. Mr. Mangus was a member of the County Line Brethren Church where he served as past moderator of the church and was currently vice moderator. He was also the former building chairman for the church. He has been a 50 year member of the Lakeville Masonic Lodge #353, F & AM, 50 year member of the Order of the Eastern Star # 479, Lakeville and a 50 year member of the Lakeville Lions Club. Mr. Mangus was a member of the Farm Bureau, Indiana Farmers Union, 4-H member for 10 years and a 4-H leader for 45 years. 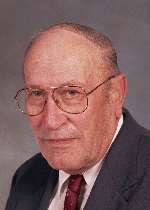 Mr. Mangus was a State Representative of Indiana for 32 years serving honorably from 1972 - 2004. He was a member of the State Republican Committee for 5 years and Vice Chairman of the District Republican Committee. Mr. Mangus also held many General Assembly Chairmanships including; House Election Committee for 6 years, House Environmental Committee for 6 years and Chairman of Natural Resources for 4 years. He was a 3 time recipient of the Sagamore of the Wabash honor, served his country with the Indiana National Guard and was a friend of Potato Creek State Park. Mr. Mangus was also appointed by the Governor as a member of the Department of Natural Resources Commission. Funeral services will be held at 11:00 a.m. on Friday, February 8, 2008 at the County Line Brethren Church, 69988 U.S. 31 South, Lakeville. Graveside services and burial will follow at Fair Cemetery, North Liberty. Friends may visit with the family from 2-8 p.m. on Thursday, February 7th, at the Newton Center, 601 N. Michigan Street, Lakeville, and one hour prior to services in the church on Friday. Palmer Funeral Home, Lakeville, is assisting the Mangus family with funeral arrangements. Contributions in memory of Richard William Mangus may be donated to the County Line Brethren Church, 69988 U.S. 31 South, Lakeville, IN 46536 or to the Brethren Retreat Center, 9095 W. 275 North, Shipshewana, IN 46585. Online condolences may be sent to the family at www.palmerfuneralhomes.com.